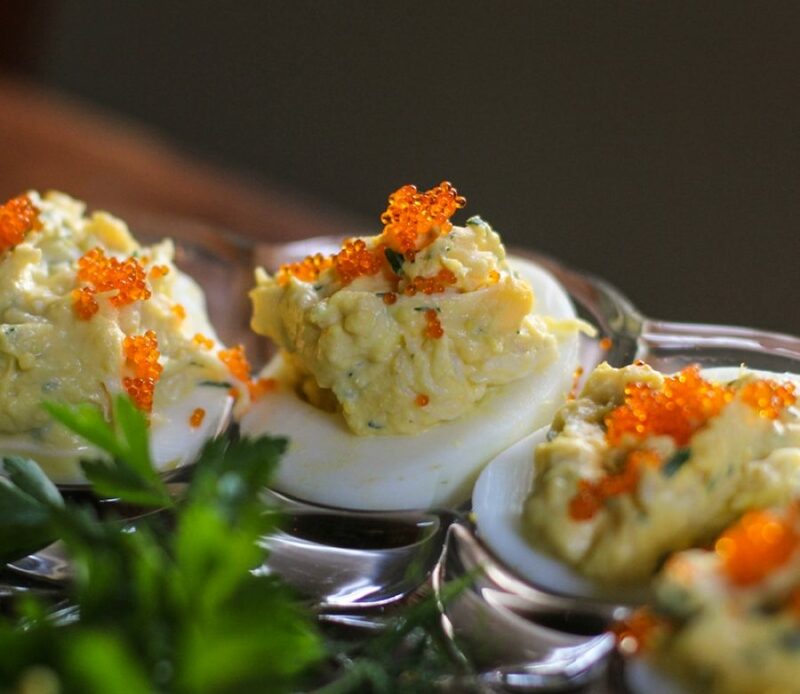 This month I am going to give you our amazing crab stuffed deviled eggs. These little gems are being served Easter weekend at all three Salty’s locations. Halve the eggs and then scoop out the yolks in a bowl. Add the mayonnaise, mustard, lemon, tabasco, vinegar, coriander, fennel, worcestershire, white pepper, dill, chive, and parsley. Mix well until the eggs are smooth. Fold in the dungeness crab and taste for seasoning. Scoop the amazing egg mixture into the egg white holes and then top with tobiko or caviar!